17 Years Web Design Experience. We have a passion for creating a website that you love and something in your price range. If you’re a non-profit, retail store, service business or even need a personal portfolio. We are here to help make your website everything you need it to be. From start to finish We will work together to get the perfect content, pictures and graphics to represent your business. Unfortunately, at this point we have experienced many businesses who have had bad experiences with their web designers. We are here to work with you and for you so you don’t have to have those experiences again. Our experience and innovative ideas, we promise to get you where you need to be online. Not only to create a great website but to help you market it with all channels of advertising. 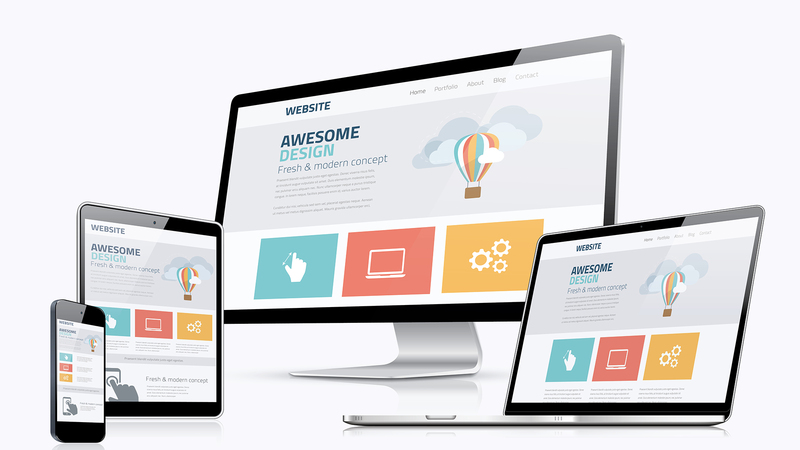 With 17 years experience our innovative designs will give you a site that is responsive, user-friend;y and optimized for search. Unfortunately, at this point many businesses have had bad experiences with their Digital Companies. Those days are over. We work for you and with you. We are not satisfied unless you are successful. All our sites are automatically mobile-friendly. Our sites are built optimized for web. This is called “on-page” optimization. We want the search engines to recognize your website and get your found online. We have a strong background in design and understand that your website design is very important. This is the first impression that a consumer gets and it needs to be eye-catching and user friendly. I have had bad experiences in the past. Hashtags Media really made us feel like we made a great choice. On top of the website we ended up doing TV commercials and a Billboard. All with only one phone call.